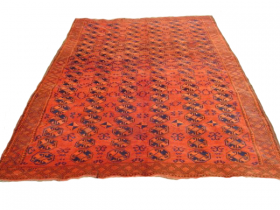 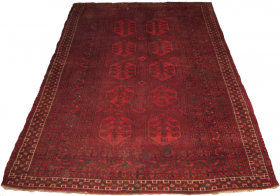 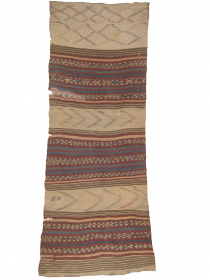 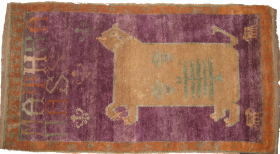 active since November, 12, 2014.
early 20th century Khotan rug measuring 9 x 5 ft. 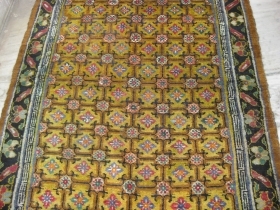 Early 20th century double dragon carpet with borders featuring the repeating swastikas and fretwork, needs repair, measuring 9.5 x 6.5 ft approx. 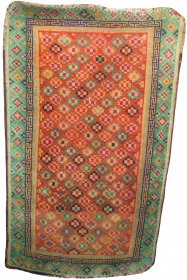 An early 20th century fine Turkoman Sarooq, re-paired on some areas, size: 9 x 6.6 ft.
An old Tibetan rug in unusual colors, re-paired on some areas, size: 6.8 x 4.2 ft.
An old Indian carpet in mint condition, size: 13 x 10 ft.
Old Baluch rug in mint condition size 6 x 4 ft.
An old Indian hunting carpet, few re-paired areas, size: 6 x 4 feet approx. 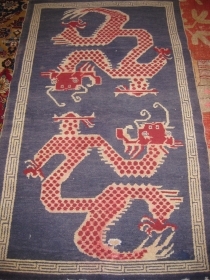 Early 20th century golden double dragon Tibetan rug needs repair size 8 x 5 ft.
19th century Agra carpet needs repair measuring 12 x 6 ft.
An old Persian blue Tribal carpet in mint condition, size: 6.8 x 4.3 ft.
An old double dragon Tibetan rug in mint condition no repair measuring 6.8 x 4.5 ft. 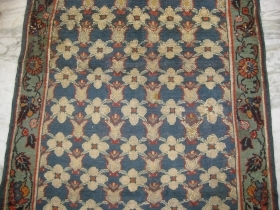 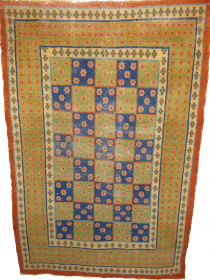 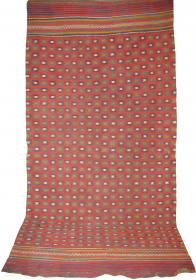 Early 20th century Indian cotton carpet in mint condition, measuring 12 feet by 9 feet. 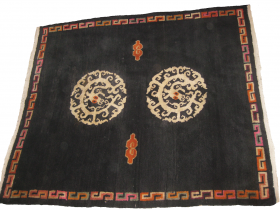 An old Tibetan with three medallions in low pile, measuring 6 x 3 ft. 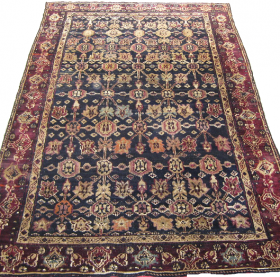 Extremely fine Signed Persian carpet in good condition except small repair on one place, measuring 7.1 x 4 ft.
An old Indian Carpet measuring 9 x 5.8 ft, consistent wear with age and use. 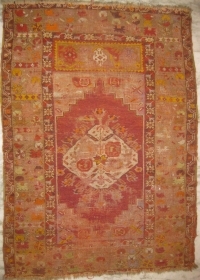 An old Turkish Tulip rug measuring 6.10 x 3.9 ft, repaired on couple of area's. 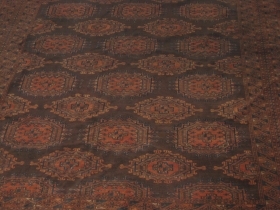 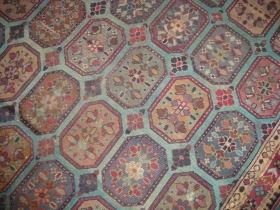 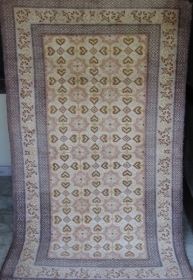 20th century Indian carpet throughout wear and repaired on couple of places, measuring 9x6 ft. 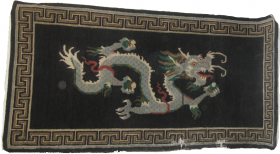 Early 20th century ivory Tibetan rug with dragons and phoenix in mint condition measuring 7.5 x 4.8 ft.
Old Double dragon rug measuring 7.5ft x 5ft there's some minor repair which needs to be done. 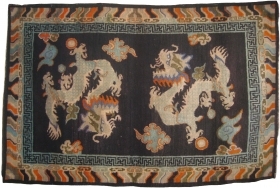 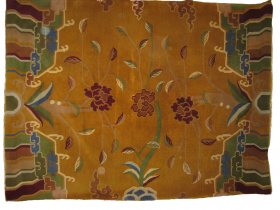 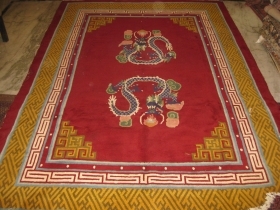 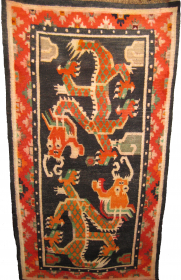 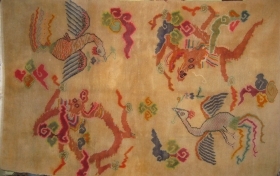 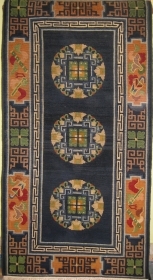 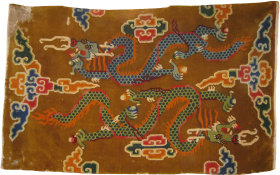 Old Tibetan double dragon rug needs repair on the edges size 6ft x 3ft. 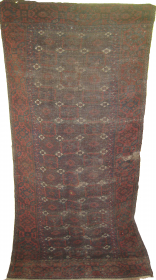 Late 19th century Agra fragment measuring 4'7'' x 4'5'' ft. 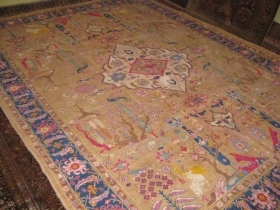 Early 20th century Chinese carpet measuring 8 x 6 ft.
Fine Indian Carpet in low pile and repaired on minor area's, size: 6 x 4 ft.
old Tibetan rug size: 4.2 x 2.6 ft. condition ends needs to be re-done. 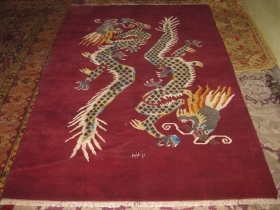 Old Dhurrie measuring 7 x 4 ft.
An Afshar rug measuring 4.11 x 3.8 ft.
old Ki Dragon rug mint condition in unusual size: 5 x 5.5 ft.
Old rug size: 3 x 5 ft condition: some wear place's, cotton foundation & wool pile. 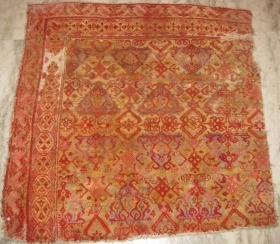 Old Afghan rug size: 4 x 5 ft condition: mint. 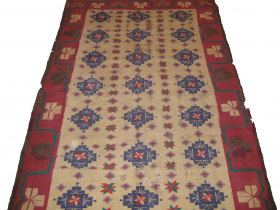 Old Northern Indian rug repaired on some places size: 6 x 4 ft.
Fine Baluch rug needs repair on few area's size 6 x 4 ft.
Old Small Baluch rug in mint collection. 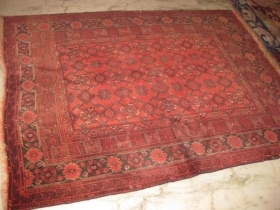 Old fine Gul rug, few repaired area's size: 6.2 x 10 ft.
Old Cotton Agra Carpet in mint condition size 6 x 4 ft.
Old Dragon carpet size 3 x 6ft needs repair on one of border side. 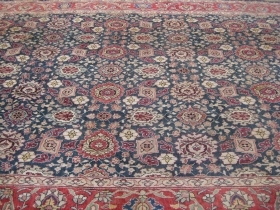 Old Tibetan carpet size 6 x 4ft minor repair. 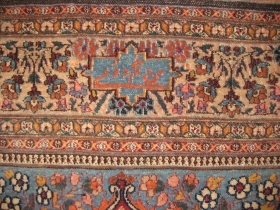 Indian Carpet with mathradass inscription measuring 2.9 x 4.10 ft in mint condition probably circa 1930/40. 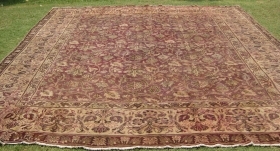 19th century Unusual Agra Cotton rug 6 x 4ft needs restoration. 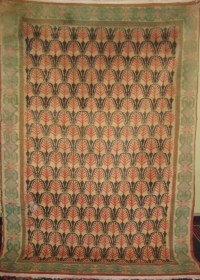 20th century Indian Agra Dhurrie, some size 6 x 4ft it needs to be repair on some area's. 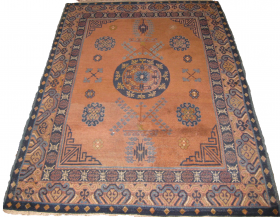 old Khotan rug 6ft x 4ft repiled, few wear areas. 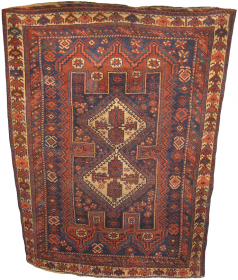 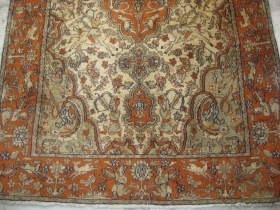 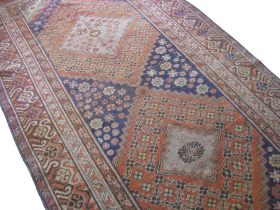 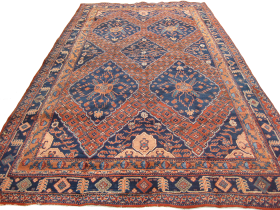 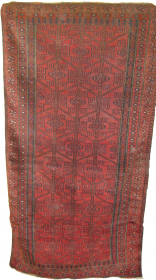 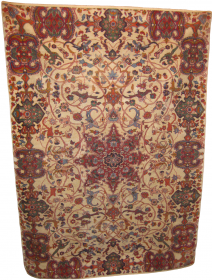 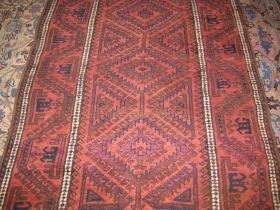 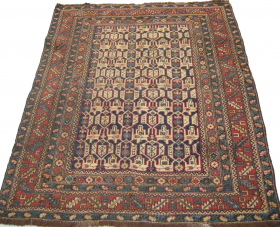 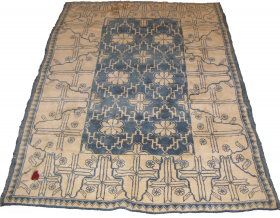 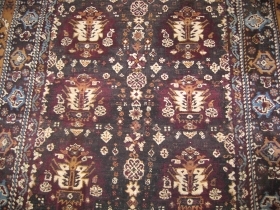 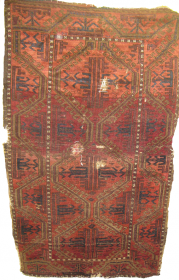 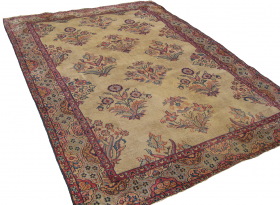 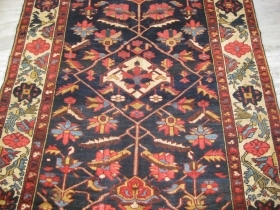 old Caucasian rug 3.9ft x 4.10ft, wear consistent with age and use.